Since the 1994 European-Russian Space mission, an extraordinary ceremony is held for all cosmonauts and astronauts before taking off the orbit, and because of its reliability, the crew receives the Fortis B-42 Cosmonauts as part of their official equipment. The quality of this Fortis model is confirmed by the Russian Space Agency and by the Star City Training Center through the embossing of their official emblems on the caseback. 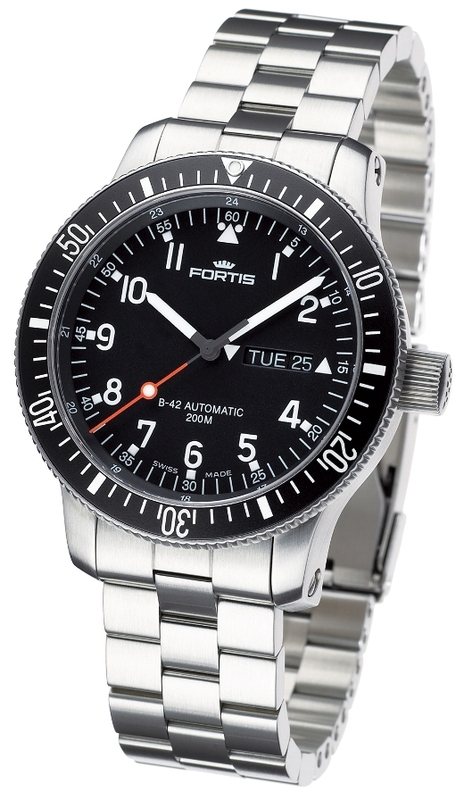 Your new Fortis B-42 Official Cosmonauts aeronautic black dial watch may qualify for squadron insignia customization through the Fortis Private Label Squadron Watches Program.